Some observers like to compare the Acura Grand Prix of Long Beach with Monaco’s historic Formula One Grand Prix event. While Long Beach has its own place as the longest running street race in North America, comparing the two events seems to be more of an ‘apples vs. oranges’ exercise. Monaco will always win the glitz and glamour prize with the rich and famous, while the Long Beach circuit is certainly the more competitive; something IndyCar fans prefer. With that in mind, Sunday’s NTT IndyCar Series race hopes to be a very wide-open affair. Race Facts: The Long Beach street course measures 1.968 miles and has 11 turns. Drivers will race for 85-laps/167.28-miles. This will be the 36th Indy car race held here; an event that began in 1984. The inaugural race here was a Formula 5000 event in 1975, while Formula One took over a year later and lasted until 1983 before Indy cars took over. Past Races at Long Beach: Alexander Rossi led all but 14 of 85 laps last year, only giving up the point for pit stops. Starting from the pole for Andretti Autosport, he built a nine-second lead by lap 34 stops and beat Will Power to the checkered flag by a 1.241 sec. margin. Honda took four of the first five finishing spots. 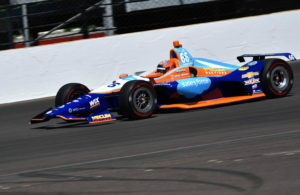 Marco Andretti moved from his 20th starting spot to a sixth-place finish. Three AA drivers finished in the first six. 2019 So Far: The season has been one of the most competitive in recent memory. Three races have produced three different winners while the top seven drivers in points have come from seven different teams: Team Penske, Harding Steinbrenner, Chip Ganassi, Rahal Letterman Lanigan, Andretti Autosport, Dale Coyne, Arrow Schmidt Peterson…Josef Newgarden remains the points leader for Chevrolet with one win and 125 points. Scott Dixon is just behind (0 wins, Honda, – 29), and recent Barber winner Takuma Sato moves to third (one win, Honda, – 34). 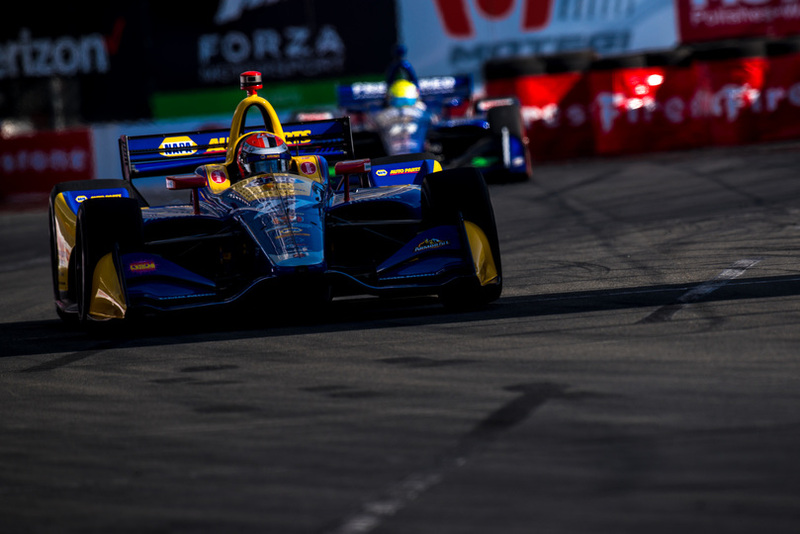 Rounding out the top five are 2018 Long Beach winner Rossi (Honda, 0 wins, – 41) and Colton Herta (Honda, one win, – 44). 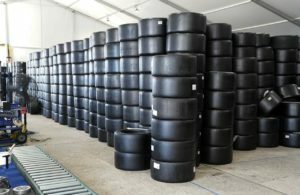 The Field: Twenty-three cars are entered for Sunday’s race, with DragonSpeed’s Ben Hanley sitting out after running at Barber. Notes: TV-NBCSN: Qualifying, Saturday, 2:45p.m. ET live / Race, Sunday, 4:00 p.m. ET live (Green Flag, approx. 4:42 p.m. 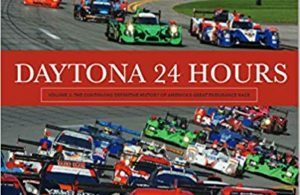 ET)…Team Penske has won seven of the last ten poles at Long Beach…18 of the 23 entered drivers have raced at LB before…the Long Beach events are thought to be the longest running street course races in North America… 2018 LB winner Alexander Rossi and recent COTA winner Herta are the only California natives racing Sunday…Fernando Alonso got some practice laps in at Texas Motor Speedway earlier this week in a car prepared for the McLaren team by Carlin. The McLaren squad will have its own orange #66 ready for April 24 open-field test runs at Indianapolis…Meyer Shank-SPM’s Long Beach car for Jack Harvey will have Acura branding for the race. Acura takes over the race sponsorship from Toyota this season. Our Take: The series has seen wide-open racing so far in 2019 with Colton Herta and several other rookies producing surprising results. Street courses generally favor those who qualify up front, but contact happens frequently on these tight courses, so drivers can win from anywhere. Given that, we’ll stick with a Penske Chevrolet to win, but if it’s a Honda up front, look for Rossi to repeat.